I’ve always had adult dogs (mostly rescues) up until my retirement nearly two years ago. I’d always promised myself a puppy when I had the time to dedicate to it and train it properly (badly behaved dogs/handlers really wind me up!). 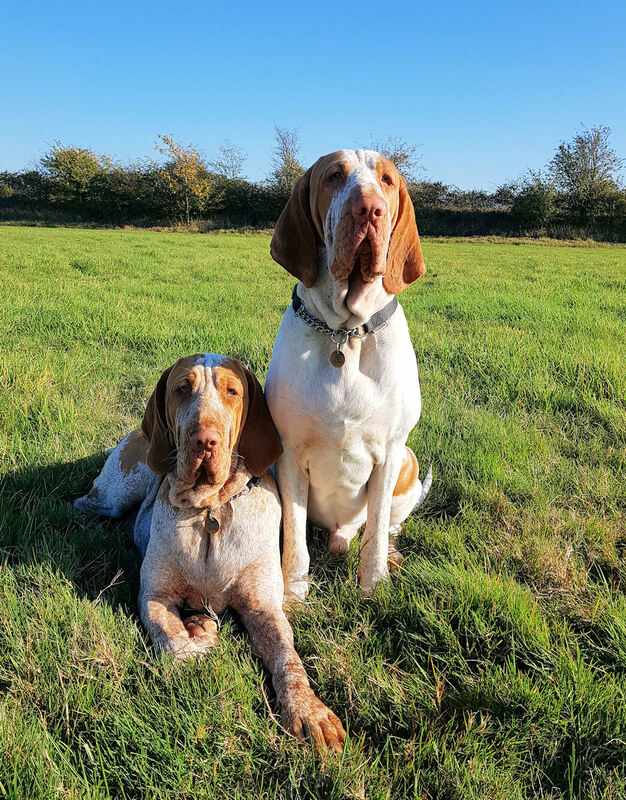 I’ve had a working Lab and Clumber Spaniels and wanted something a bit different so I actually ended up with two Bracco Italiano siblings. I knew that I’d need some help with the training so I contacted a few local training people and had a one-to-one session (expensive) with one of them. I knew more or less immediately I’d made a mistake – just not the right person for me and my boys. None of the other “Village Hall” type outfits gave me a good feeling either; just struck me as treat-based training, fluffy, cuddly doggie types. So I had another look on the internet and found Frank’s website. His methods work, he is amazingly consistent and very down to earth with it. This makes for an enjoyable as well as a constructive experience. I can whole-heartedly recommend Frank to anyone who wants to get best out of their dog.